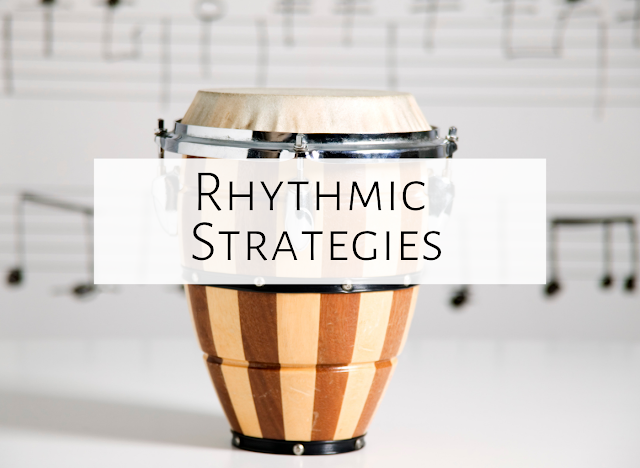 With this blog post, I'm hoping to give you lots of ideas to specifically address rhythmic reading and writing! Some of the ideas I will describe in this blog post, some will link to other blog posts, and some will link to freebies and other products. 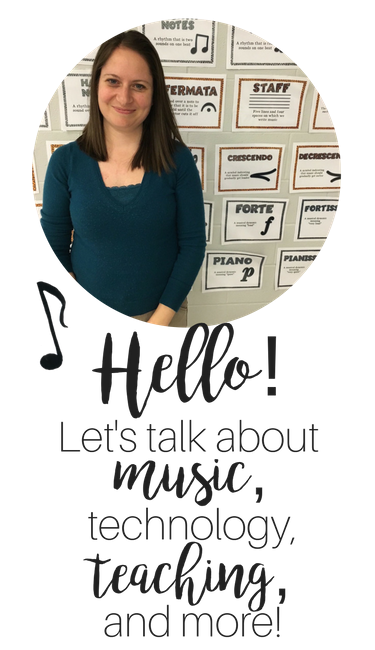 I wrote in detail about popsicle stick writing in this blog post on my collaborative blog, the Kodaly Corner. Having students dictate on dry erase boards can be a great way to practice rhythmic writing. I ordered my own set of 30 individual dry erase boards and markers, but I've heard that some people will buy a big sheet of dry erase board from Lowe's and cut it up themselves. Either way, you can hand out the materials, clap rhythmic patterns, and have students dictate those patterns. You can also have students create their own patterns, and/or write the entire rhythm to a song or chant. I write about this fun small group project in this blog post. You could do something like this at any time of the year, but I have to say, the turkeys were pretty fun! The idea of post office is that you as the teacher could clap a pattern, and then students have to look for that pattern and put it into the mailbox. I wrote about the activity in this picture in this blog post, and you can download a ta and ti-ti post office freebie for Valentine's Day here. I learned about rhythm manipulatives from my Level III teacher Joan Litman. She required us to complete these as a homework assignment, and I'm so glad she did! I have used these countless times over the last eleven or so years since I took Level III. The manipulatives are a great way to have students work in pairs or individually to dictate and/or compose a rhythm. And I love the arguments they have...instead of "He cut me in line!" I hear, "That's not a tika-tika, that's a tika-ti!" I wrote about this awesome game which I learned about my friend Sue Leithold-Bowcock here. 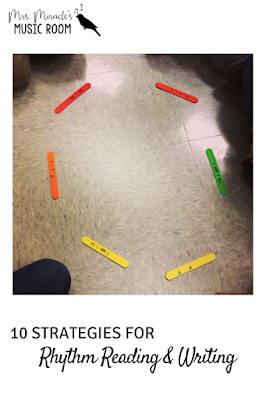 I wrote about using these manipulatives during learning centers in this blog post. I absolutely love this composition set by Cori Bloom! In small groups, students compose a B part for the song "See Saw," with playground words and rhythms. So much fun! If you thought there were only a few ways to use rhythm flashcards, this awesome set by my friend Karla at C Major Learning will have you thinking again! 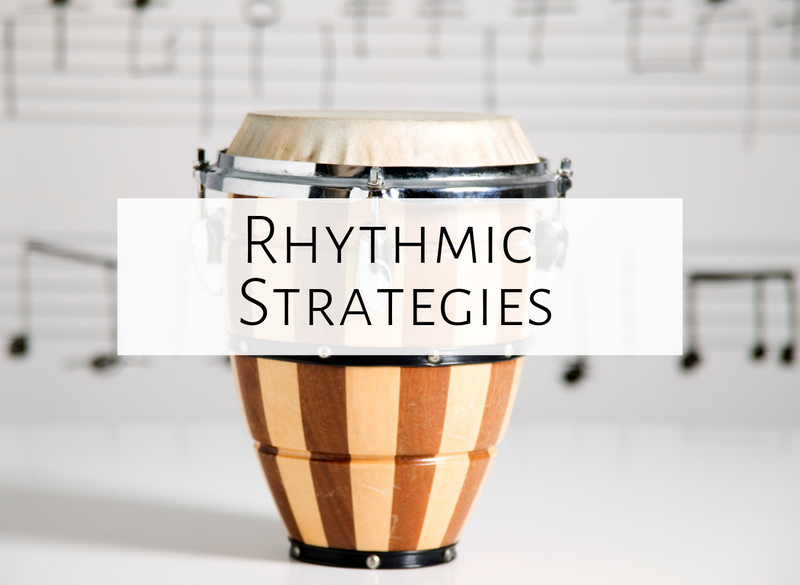 It includes rhythm flashcards and King of the Mountain sets for many different rhythmic concepts, as well as a huge list of strategies and games for using rhythm flashcards. I love how detailed Karla is with this set...she is very experienced and gives you tons of tips for how to teach each game/ strategy as effectively and smoothly as possible. Just click on the picture above to see the product. 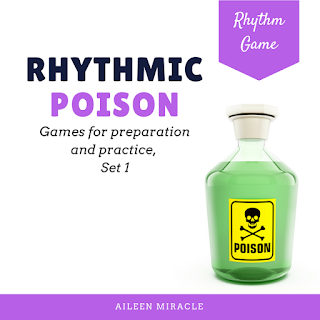 I added a new poison pattern set to my store...these games can be projected onto a SMART board, white screen, or printed out, and can be used for rhythmic preparation OR practice. Click here to read my post about melodic reading and writing. Which rhythmic reading and writing activities do you like to use? Feel free to comment below, and happy teaching!